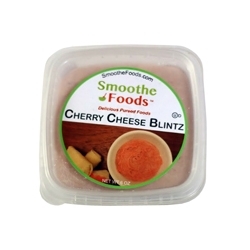 Cherry Cheese Blintz is a delicious dessert, perfect for those times you may wish for a little sweetness. Smoothie crepes with ricotta cheese and touch of cherry filling. Tastes just like a dessert smoothie!